GTH TRAINING HELP. GET INTO GREAT SHAPE! 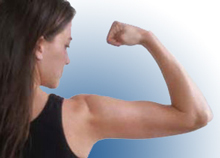 Body Defining - Fitness, Strength and Nutrition Training for Women. Now is the time to get into shape, and this proven plan can make it happen. Learn how the correct combination of diet, exercise, water, and rest produces a well-defined body. In fact, if you're an average woman and if you follow this proven plan, you can expect to lose 13 pounds of fat, 2 3/4 inches off your waist, 2 1/4 inches off your hips, 3 1/2 inches off your thighs during the next six weeks. During the fat-reduction process, you can also expect to add 3 1/2 pounds of body enhancing muscle, making your physique stronger, firmer, and more symmetrical. The entire program is easy to follow and includes carefully researched menus, at-home exercises, strength-training equipment instructions, and maintenance guidelines. The class meets for One and a half hours per week, for seven weeks. Certified Personal Trainer, author and fitness educator Brian Konzelman will guide you through this simple program that can transform your body and change your life. The course is open to women of all ages. The textbook for the course is available at the MCC bookstore, or you can order it from www.amazon.com. Wear comfortable workout clothes and shoes to the class. Click here to view the syllabus. The classes will be at our training facility.To prepare for these classes, be sure to purchase and read the textbook before the class starts, print out the syllabus and the class handouts and bring them to the classes. Now is the time to get into shape, and this proven plan will get you started. This course provides men a simple program to follow that can build solid muscle, combat fat and help to regain flexibility and stamina. Valuable information about nutrition will also be covered. Loose the extra fat and get lean and strong with a small investment of workout time and a sensible nutrition plan. Learn how to build solid muscle to look and feel better. Gain a clearer understanding of the myths and facts about exercise and nutrition. This entire program is easy to follow and includes menus, at-home exercises, strength-training equipment instructions, and fitness maintenance guidelines. The class meets for One and a half hours per week, for seven weeks. Certified Personal Trainer, author and fitness educator Brian Konzelman will inspire and motivate you to succeed with this seven-week program, so no matter your age, enroll and get started reaping the benefits of physical fitness. Click here to view the syllabus. If you have some experience lifting weights, or have previously completed the LIVING STRONG FITNESS CLASSES, then this 4 week, 4 hour workshop is for you. Certified Personal Trainer, author and fitness educator Brian Konzelman will give you the insider's scoop on safe and effective free-weight training. Learn how to get the most out of your workouts. Learn the simple techniques, right equipment, exercise progression and sequencing that will enable you to design your own safe and effective training and get the most out of your workouts. This comprehensive, limited-enrollment hands-on workshop will be conducted at the LIVING STRONG FITNESS TRAINING CENTER. Click here to view the syllabus. The classes will be at our training facility. To prepare for these classes, be sure to print out the syllabus and bring it to class. When you have enrolled, send us an email and we will send you a link to the workbook for the class. Wear workout clothes, and get ready to get some results! If you are serious about having a fit and active lifestyle, this course is for you. Learn the principles of fueling a healthy active lifestyle with the right foods. The course includes meal ideas, eating-out solutions, cooking tips and techniques, food resources, and recipes to help maximize your fitness. Learn how to change your old food habits to new healthy choices, with cooking tips to prepare your meals for optimal nutrition. 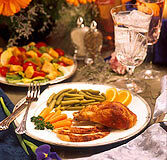 Youll learn easy to prepare fast menus to serve your family and friends in a variety of ways. The program includes samples to taste and recipes to share. This course will be taught by Brian Konzelman, founder of LIVING STRONG FITNESS TRAINING, and Lynne Jackson, Certified Professional Home Economist and cooking coach for H.E.B. Classes will be held at the LIVING STRONG FITNESS TRAINING CENTER. Click here to view the syllabus. The classes will be at our training facility. To prepare for these classes, be sure to print out the syllabus and the class handouts and bring them to the classes. Everything You Need to Know to Run for Fun, Fitness, and Competition. This course will guide you through a simple, easy to understand six-week/6 hour workshop designed to enhance your running lifestyle. You will learn insider's tips and information that will help you focus and train for a local, regional or national race, and learn how to prepare and compete safely and successfully. This course will be provided through Brian Konzelman, founder of LIVING STRONG FITNESS TRAINING, and instructed by Chris Rasmussen, Certified Strength & Conditioning Specialist. The Classes will be held at the LIVING STRONG FITNESS TRAINING CENTER. Click here to view the syllabus. The classes will be at our training facility. To prepare for these classes, be sure to purchase and read the textbook before the class starts, print out the syllabus and bring them to the classes. All of our classes are held at the Living Strong Fitness Training Facility in Waco. Click here for directions. You may register for any of these classes directly with us, just click here to send us an email and give us your contact info. Some classes are also offered through the continuing education division of McLennan Community College. For the MCC registration information, click here, and go to the Continuing Education link, or call 254-299-8888. Personal Trainer One is an easy to use diet and nutrition program that will help you track your caloric intake quickly and easily. I consider it a necessary part of any effective personal fitness program. It only costs $19.95. 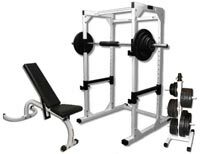 Strength training - what to use, where to train is an article that will help you understand more about the safest and most productive fitness equipment. DISCLAIMER: PLEASE READ - Information provided by Living Strong Website is a guide, created to help users make informed decisions about their health. This information should not be construed as professional or medical health advice, and does not substitute for the advice or treatment that may have been prescribed by their physician. Consult with your physician before using any of this information or beginning any exercise activity. Users are responsible for the implementation and utilisation of this information; doing so at their own risk; in no way shall Living Strong be responsible for any injuries, conditions or contraindications, occurring from the use of this site or it's contents. Links from this site lead to sites individuals or organizations over whom we have no control. We do not necessarily endorse or approve of their content information or products and make no representations or warranties regarding the accuracy of their information. By viewing, printing or using you agree to our full terms. Review the full terms by clicking here.